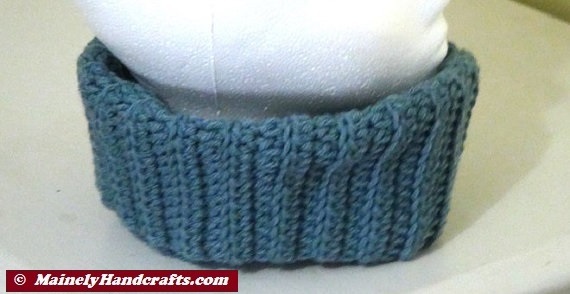 This Fitted Cowl Neckwarmer accessory is in a color that you’ll reach for every day! 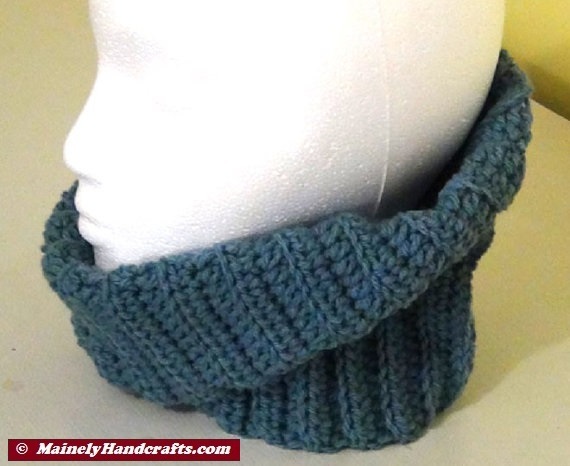 Fitting comfortably over the head and around the neck, it is so soft and warm! 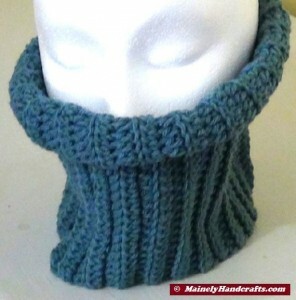 Folded over it covers the neck, but can also be unfolded to warm the face when outside. 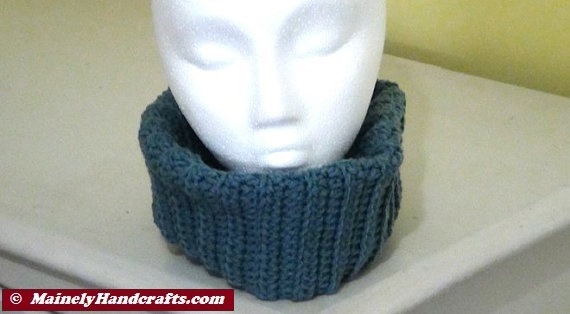 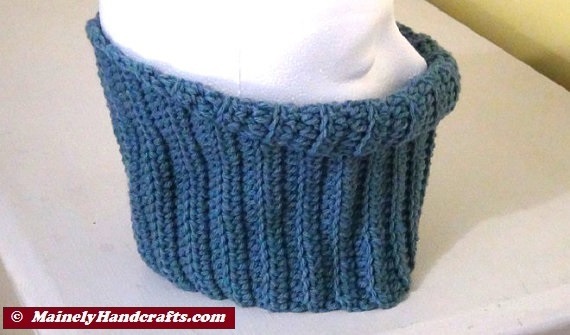 This is the perfect cowl with your coat or even just around the house. This pretty neck warmer is made with Loops & Threads Impeccable soft acrylic yarn in the color Cadet Blue.